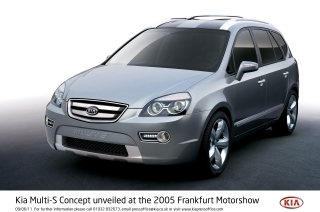 If one car could be said to have started the design-led revolution which has completely transformed the way people see Kia, it was the Soul launched in 2008. 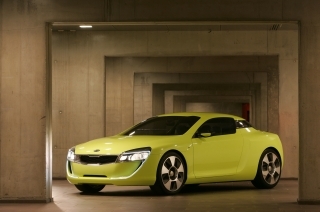 Fresh, funky, original and bold, it demonstrated that Kia could design and engineer cars which were out of the ordinary, without losing its focus on practicality and value for money. 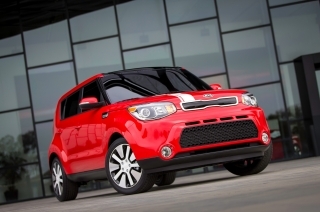 The Soul went on to become a top five car in its class and market leader in the United States and China. 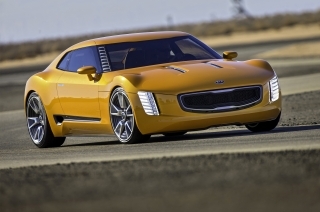 In 2012, the last full year the original model was in production, Kia sold almost 165,000 units, despite the arrival of several newer competitors. 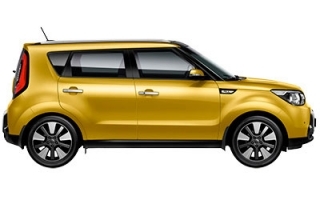 Now there is an all-new, second-generation Soul with even more dramatic SUV crossover styling, greater space in a revitalised and higher-quality cabin, enhanced safety and sharper driving dynamics thanks to a new chassis based on that of the Kia cee’d and is available with a choice of two engines. It arrives at the perfect moment to take advantage of the boom in the B-segment SUV market. 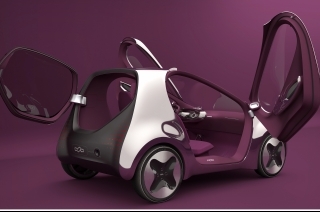 Annual sales of this type of car in Western Europe are forecast to rise from around 380,000 in 2013 to more than 600,000 by 2015. 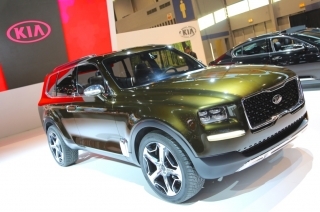 Just over a quarter of European B-SUV customers are British. 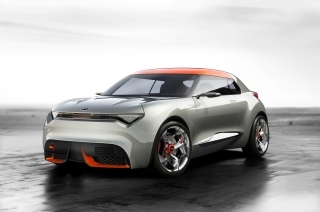 With its more emphatic SUV design, featuring overtones from Kia’s Track’ster concept car of 2012, the new Soul will have an even greater market impact against the growing number of competitors. 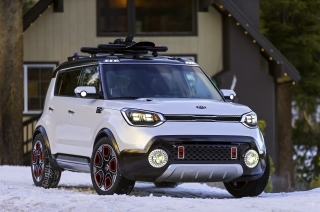 All versions of the Soul are front-wheel-drive five-door crossovers – Kia research has shown that many buyers desire the appearance, semi-elevated driving position and perceived safety advantages of a 4x4, they do not want the higher fuel consumption and taxation that four-wheel drive entails. As with the previous model, the new Soul offers buyers a choice of efficient 1.6-litre direct-injection petrol and turbodiesel engines tuned for effortless driving flexibility. 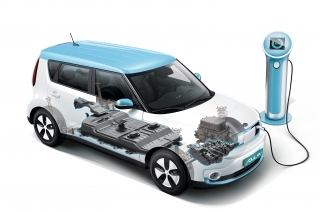 The diesel Soul has CO2 emissions as low as 128g/km and fuel economy as high as 58.8mpg. 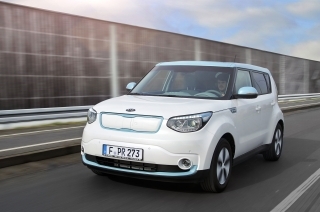 And Kia has already announced that towards the end of 2014 there will be a 100 per cent electric version of the car, called Soul EV – the company’s first global commercial EV – with zero tailpipe emissions. 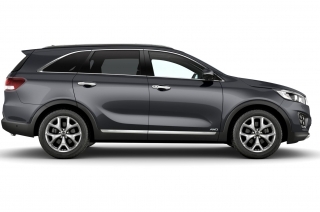 There are three regular trim lines – Start, Connect and Connect Plus – which will be joined in the summer by two very distinctive models; the Soul Mixx and Soul Maxx, with even more extrovert styling and higher levels of technology than ever before. 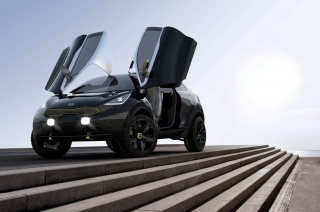 Kia had the ideal starting point for the new Soul in the 2012 Track’ster concept. 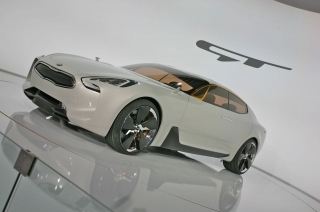 The new Soul design team, led by Tom Kearns, chief designer at the company’s California studios, have adopted as many elements of the Track’ster concept as is feasible for a production car. 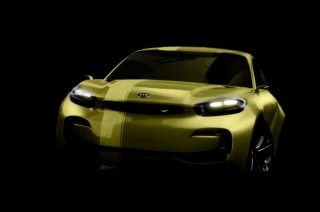 The result is a sportier, more tough-looking new Soul which maintains what Kearns calls the “bulldog” proportions of the Track’ster. The upright stance, square shoulders and distinctive bumper flares of the new car instantly identify it as a Soul, but it has a 20mm longer wheelbase – now 2,570mm – which stretches the car by a corresponding amount to 4,140mm, and it is 15mm wider at 1,800mm. 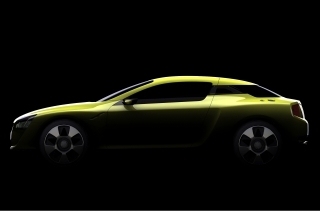 The height has been lowered to 1,593mm, the new car appears more squat, sporty and purposeful. There are benefits for practicality, too: the tailgate opening is 62mm wider and provides access to a four per cent larger boot – 354 litres with the rear seats upright, with the rear seats folded the luggage capacity is 994 litres to the cargo cover and a maximum of 1,367 litres up to the roof. 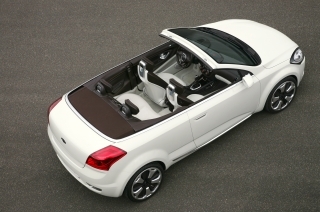 Exterior similarities to the Track’ster concept are not hard to find. 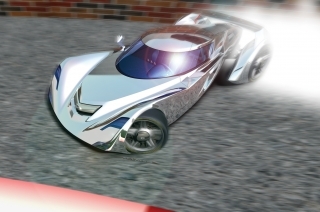 The large trapezoidal lower air intake at the front is almost a direct carry-over from the concept car, while the location of the front foglights – low and pushed to the outer edges – mirror those on the Track’ster. 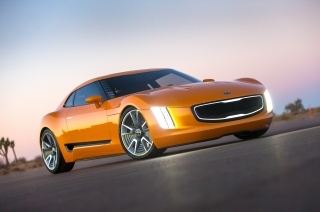 Kia’s signature ‘tiger-nose’ grille has also been reworked so that it is closer to that on the Track’ster. The floating body-colour ‘backpack’ panel set into the tailgate also originated with the Track’ster. Much-loved themes from the first Soul, such as the wraparound greenhouse – with privacy and solar glass on the Soul Mixx and Maxx – and high-mounted stacked tail lamps have been preserved. But a great deal of effort has gone into giving the new car more of a premium look through detailing like the LED indicators in the mirror housings on all but the Soul Start; the projection headlights with LED daytime running lamps, LED rear lamps and chromed exterior door handles on the Soul Mixx and Maxx; and the panoramic sunroof on the Soul Maxx. Themes from the Track’ster concept car are also to be found in the interior of the new Soul, especially in its use of circular patterns. The ideas were inspired by the ripples which spread outwards when drops of water land on the still surface of a pond. The design team put a lot of effort into instilling a more premium look and feel to the interior. This has been achieved through the choice of materials, the soft-touch facings on the instrument panel, centre console and door panels, the leather-covered steering wheel rim and gearlever knob (except Soul Start) and the high-gloss black finishings on the fascia panel, steering wheel bezel, door armrests and upper console cover (Soul Connect upwards). In the three upper-grade versions there are front speaker mood lights, while the range-topping Soul Maxx has a TFT supervision cluster and leather upholstery. 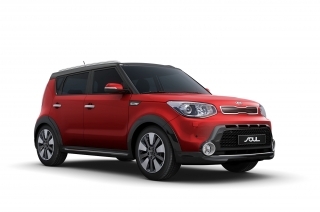 The new Soul provides more passenger and luggage space than the previous model and has new seats that offer increased sideways and thigh support. There is more head and shoulder room for the driver and front passenger, while in the rear of the cabin up to three people enjoy more knee and leg space. The step-in point and hip point are also lower, making it easier to get in and out. The windscreen pillars are further away from the front occupants, and there is a lower centre tunnel to improve arm and elbow space. Occupants will also find the cabin is quieter thanks to liberal use of expansion foam, replacing the previous block foam, in the body cavities. A reinforced isolation pad in the cargo area and polyurethane-layered carpet also contribute to a reduction in interior noise of almost three decibels. Both engines are direct-injection units in which a fine mist of fuel is sprayed straight into the cylinders through a high-pressure injection system. This ensures the engine uses only as much fuel as it needs for the load being put on it. The result is highly efficient combustion with excellent performance. 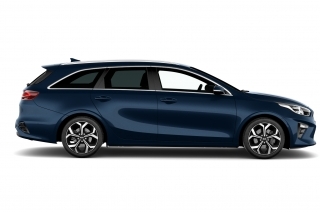 Direct injection, with turbocharging in the case of the U2 diesel engine, also helps to boost low-speed response and, therefore, driveability in European driving conditions. 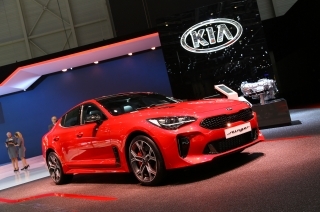 The 1.6-litre (1,582cc) CRDi engine was designed and engineered at Kia's European Technical Centre at Russelsheim, just outside Frankfurt, and is made at the company’s manufacturing facility at Žilina, in Slovakia. It develops 134bhp at 4,000rpm and 260Nm of torque which remains constant from 1,500rpm until 3,000rpm, ensuring open-road performance similar to that of the petrol Soul and excellent flexibility. Acceleration from 0-60mph is achieved in 10.8 seconds with the six-speed manual gearbox, while the top speed is 112mph. 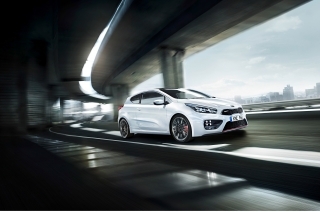 The figures with the seven-speed DCT gearbox are 10.7 seconds and 113mph. Manual versions have combined fuel consumption of 58.8mpg with CO2 emissions of 128g/km, while the figures for the DCT are still highly impressive – 54.3mpg and 135g/km. 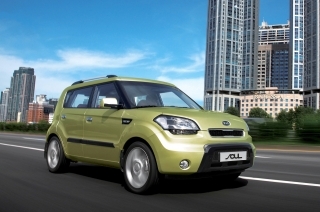 The new Soul is also available with Kia's 1.6-litre GDi (Gasoline Direct Injection) Gamma petrol engine. 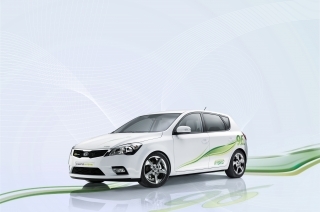 GDi makes it possible to raise power and torque levels while reducing fuel consumption and CO2 emissions. This 1,591cc unit develops 130bhp at 6,300rpm and 161Nm of torque at 4,850rpm. 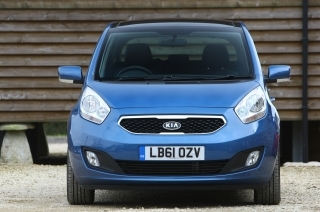 The petrol-engine Soul accelerates from 0-60mph in 10.6 seconds and has a top speed of 115mph. 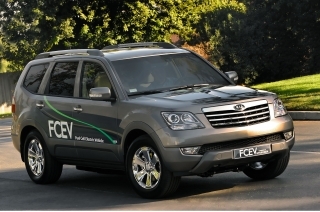 Average fuel consumption is 41.5mpg with CO2 emissions of 153g/m. 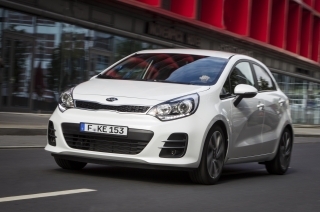 The Soul’s fun-to-drive handling characteristics are now supported by improved ride quality to cope with the deteriorating roads in established markets and the poor surfaces found in many developing markets. New suspension bushing, a suspension insulator at the front and revised suspension geometry at the rear have improved both comfort and quietness. All of this has been aided by the greater rigidity of the new Soul thanks to a considerable increase in the use of high-tensile steel in the construction. The Soul continues to use Kia’s Motor Driven Power Steering system, now with the adoption of Flex Steer, the variable-assistance function which allows drivers to adjust the degree of assistance provided according to preference and where the car is being driven. For parking or manoeuvring in narrow town streets the Comfort setting offers increased assistance, while for highway driving at speed the Sport mode reduces the amount of assistance to maximise feedback and stability. There is also a Normal setting that is suited to most everyday driving conditions. 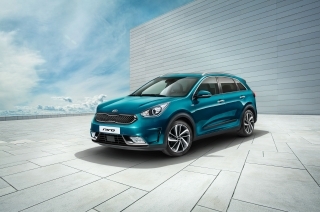 From the autumn Kia will offer five trim options with the new Soul in the UK, all featuring significant upgrades in equipment and technology compared with the previous model. The five grades are Soul Start, Soul Connect, Soul Connect Plus, Soul Mixx and Soul Maxx. New standard features on every Soul are a DAB radio, Flex Steer variable power-assisted steering and a tyre pressure monitoring system (TPMS). 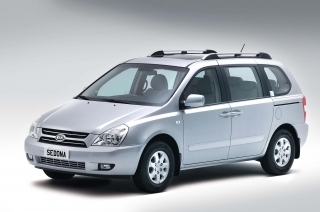 Also fitted to every model are painted bumpers, door handles and side mirror casings, keyless entry, air conditioning, electrically adjustable door mirrors, electric windows all round, steering wheel-mounted controls, USB and AUX ports and six airbags. Soul Connect adds artificial leather cluster housings, door centre trim and armrests. It has 17-inch alloy wheels in place of the 16-inch steel wheels of Soul Start, front fog lamps, door mirror heaters, Bluetooth and cruise control with speed limiter plus a reversing camera, a leather steering wheel and gearshift knob, a high-gloss black finish on the centre fascia panel, steering wheel bezel, door armrest and upper console and a storage box between the front seats. 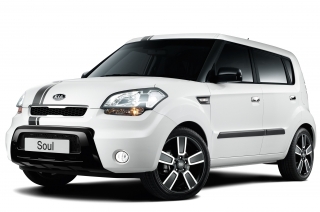 The Soul Connect Plus additionally has a premium Infinity sound system, satellite navigation integrated within the DAB radio and a reversing camera display and front speaker mood lights. 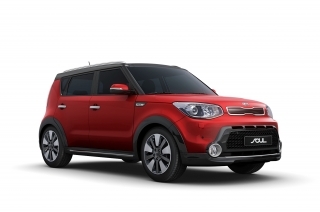 Soul Mixx has 18-inch alloy wheels, contrasting colour roof and door mirror casings, high-gloss black bumpers, chrome exterior door handles, LED rear combination lamps, privacy and solar glass, a cooled glovebox, heated front seats and a luggage floor undertray. 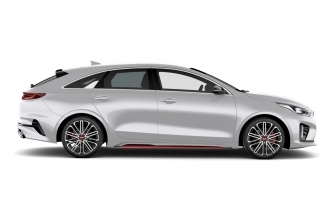 It is also fitted with the urban styling pack consisting of front, side and rear skirts and wheel arch garnish which increases the width by 31mm. 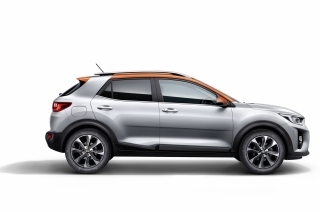 Topping the range is the Soul Maxx, which features 18-inch alloy wheels, leather upholstery, a TFT supervision cluster, a panoramic sunroof, front and rear parking sensors and a smart-entry key and engine start/stop button. 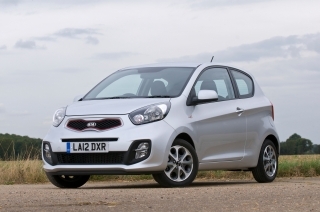 In common with all Kias, the new Soul is covered by a seven-year/100,000-mile warranty covering all labour and parts except those subject to normal wear and tear. 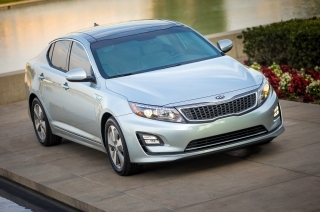 The warranty is transferable if the car is sold before the time/mileage limit expires. In 2008 the original Soul launched Kia on a new design-led strategy to which the entire model range now conforms. 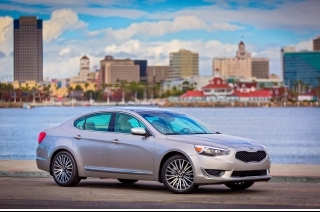 Kias are now lauded throughout the industry for their crisp, clean lines, precision fit and finish and the quality of materials and workmanship. They have a clear family look without the ‘small, medium and large’ sameness found with some brands. The Soul started all that. 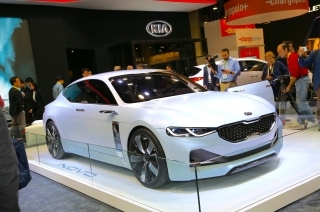 Fresh, funky, original and bold, it demonstrated that Kia could design and engineer cars which were out of the ordinary, without losing its focus on practicality and value for money. 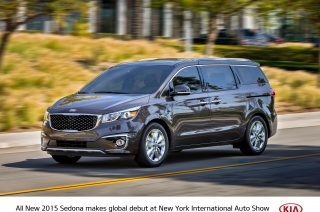 The Soul went on to become the top seller in its segment in America and China and created the compact SUV crossover sector in its homeland, Korea. 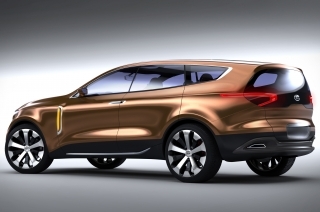 In the last five years the compact SUV crossover sector has grown hugely in importance, and is set to become even more significant in the future. 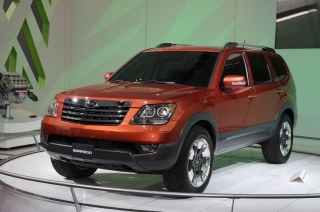 Many buyers are downsizing from larger, less fuel-efficient SUVs. 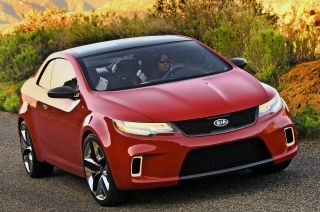 Others are trading up from conventional compact cars. 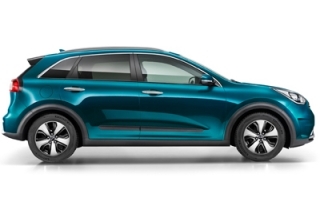 And all say they want a car that stands out from the crowd: an urban crossover SUV that does not have the fuel consumption, emissions, taxation, cost and weight disadvantages of a typical SUV. 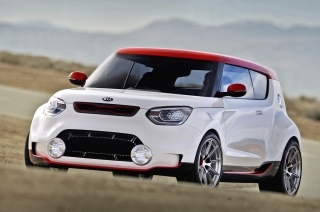 It is against that background that Kia designers began work on the second-generation Soul. 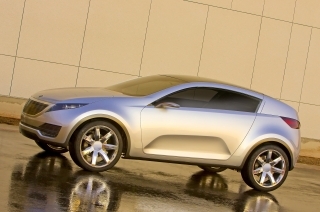 They had the ideal point from which to start with the Track’ster concept from the 2012 Chicago Auto Show. 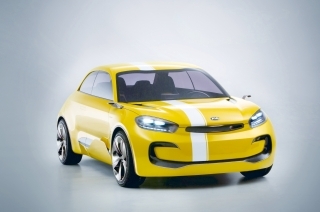 Kia is renowned for turning the design cues of its concept cars into production reality, and the new Soul design team, led by Tom Kearns, Chief Designer at the company’s California studios, adopted as many elements of the Track’ster concept as is feasible for a production car. 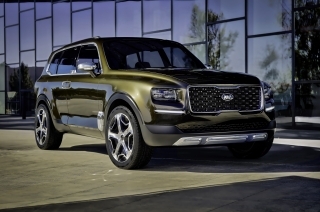 The result is a sportier, more tough-looking new Soul which maintains what Kearns calls the “bulldog” proportions of the Track’ster, but also with a much more premium look. This is most obvious from a head-on comparison of the two cars. The new model has a sharper edge to the front of the bonnet, a much stronger lower grille opening, bumper and wheel arches and more purposeful-looking foglights. 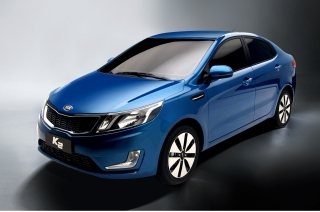 But the chrome main grille surround, precision headlamp units with LED daytime running lamps on the Soul Mixx and Maxx and the new-style door mirror housings with LED indicators (Soul Connect upwards) are clear pointers to the new car’s elevated quality. The designers are especially proud of the more pronounced ‘backpack’ shape of the tailgate, with its seamlessly integrated tail lamp units. 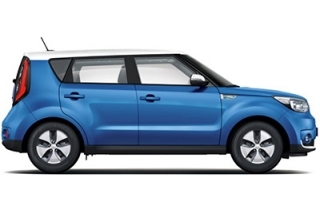 Along with the reclined roof and sturdy C-pillars, these help to give the new Soul a tougher, more robust appearance. It was an extremely challenging part of the car to get right, but well worth the long hours of effort. 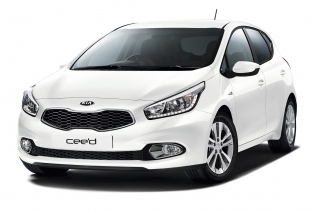 The design team also had an all-new platform to work with, based on that of the Kia cee’d. 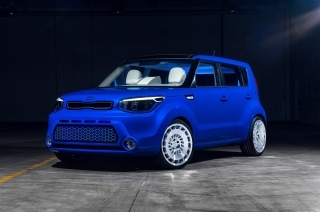 That automatically ensured the new car would be roomier than its predecessor, answering another of the requests of first-generation Soul owners, and allowed the designers to make significant adjustments to its proportions. The upright stance, square shoulders and distinctive bumper flares of the new car instantly identify it as a Soul, but it has a 20mm longer wheelbase – now 2,570mm – which stretches the car by a corresponding amount to 4,140mm, and it is 15mm wider at 1,800mm. With the height being 10mm lower at 1,600mm, the new car appears more squat, sporty and purposeful. There are benefits for practicality, too: the tailgate opening is 62mm wider and provides access to a four per cent larger boot – 354 litres with the rear seats upright, plus additional storage space beneath the floor. The maximum luggage capacity is 1,367 litres. Thanks to the use of ultra-high-strength or high-strength steel for two-thirds of the body, torsional rigidity has been improved by 29 per cent, allowing the A-pillars to be 20 per cent slimmer for better forward visibility, something which is especially helpful in congested areas and when turning. 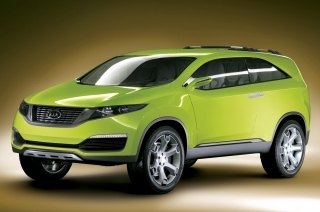 Exterior similarities to the Track’ster concept are not hard to find. 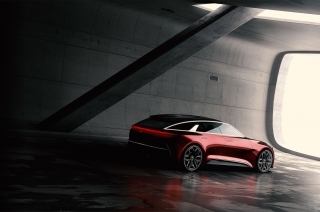 The large trapezoidal lower air intake at the front is almost a direct carry-over from the concept car, while the location of the front foglights – low and pushed to the outer edges – mirror those on the Track’ster. 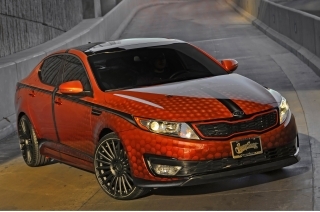 Kia’s signature ‘tiger-nose’ grille has also been reworked so that it is closer in style to that on the Track’ster. The floating body-colour ‘backpack’ panel set into the tailgate also originated with the Track’ster. 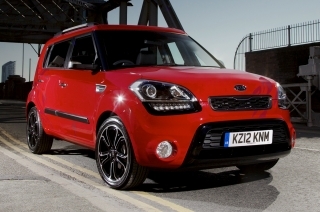 In the UK, the Soul Start, Connect and Connect Plus have body-coloured bumpers, while the two top spec’d – Mixx and Maxx have high-gloss black bumpers. 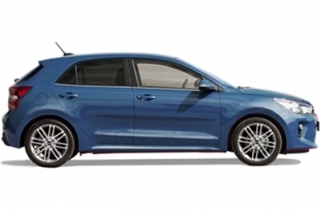 Alloy wheels of 17 or 18 inches in diameter are standard on every version above Soul Start, while the Soul Mixx has a contrast colour roof with matching door mirror casings. Much-loved themes from the first Soul, such as the wraparound greenhouse – with privacy and solar glass on the Mixx and Maxx – and high-mounted stacked tail lamps have been preserved. But a great deal of effort has gone into giving the new car more of a premium look through detailing like the LED indicators in the mirror housings (Soul Connect and above), the projection headlights with LED daytime running lamps, LED rear lamps and chromed exterior door handles on the Mixx and Maxx and the panoramic sunroof on the Maxx. 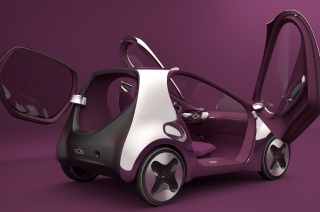 Themes from the Track’ster concept car are also to be found in the interior. Tom Kearns and his California design team used the previous Soul as a starting point, but have deliberately played up the circular patterns which were used so emphatically in the Track’ster. The ideas were inspired by the ripples which spread outwards when drops of water land on the still surface of a pond. The design team also put a lot of effort into instilling a more premium look and feel to the interior of the new Soul through the choice of materials, increased storage and the larger main screen. There are soft-touch facings on the instrument panel, centre console and door panels; the steering wheel rim and gearlever knob are leather-covered in most versions; high-gloss black finishings adorn the fascia panel, steering wheel bezel, door armrests and upper console cover on Connect and above; the front speakers on Connect Plus upwards have mood lights and there is a TFT supervision cluster and full leather trim in the Maxx. 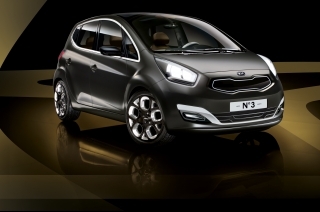 It all reinforces the sense of luxury and refinement in the new Soul. 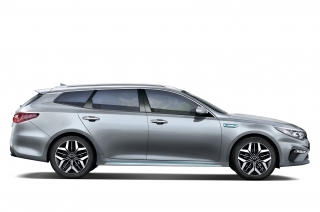 The more expressive circular theme is most obvious in Kia’s familiar deeply recessed instrument gauges, but is also to be found on the sculpted door panels which house the power window switches and locks. The centre console features a round gear lever and, on the Maxx, an engine stop/start button. The front door-mounted speakers and high-mounted “floating’ tweeters – with red mood lighting utilising LED technology to create a ripple effect on the upper three trim grades – maintain the circular patterns found throughout the cabin. The steering wheel-mounted audio controls are located in Soul-exclusive circular groupings along the lower spokes. The outer air vents have been relocated to the top of the fascia and incorporate the defrosters and audio tweeters in one stylish unit, emphasising that music is once again one of the core characteristics of the Soul. 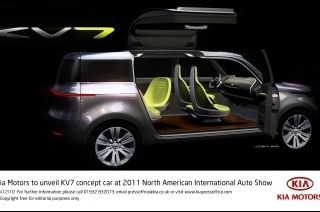 The new model provides more passenger and luggage space than the previous one and has new seats which offer increased sideways and thigh support. There is more head and shoulder room for the driver and front passenger, while in the rear of the cabin up to three people enjoy more knee and leg space. The step-in point and hip point are also lower, making it easier to get in and out while delivering a more sporty driving position. The windscreen pillars are further away from the front occupants, and there is a lower centre tunnel to improve arm and elbow space. Contributing towards the increased roominess and superior ergonomics of the new Soul are the redesigned fascia and relocated controls. The centre fascia has been sculpted to bring the main controls closer to the driver. Meanwhile the start/stop engine button on the Soul Maxx has been moved closer to the gearlever. This is not only a more logical and ergonomic layout, but it also allows the seat heater switch to be moved to the main climate control panel, consolidating all the temperature and air circulation switches in one place. There is another important space-saving measure, too. 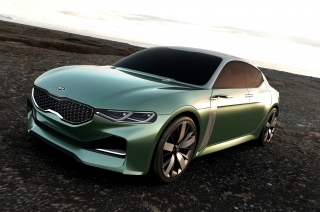 With an increasing number of Soul buyers now relying on smartphones or MP3 players for their in-car music, Kia has taken the decision to fit a DAB Radio with USB and AUX ports as standard and delete the CD player. This helps to lower the height of the fascia for a more streamlined appearance. A 62mm wider tailgate opening adds to convenience when loading, and the luggage capacity is longer and taller and has been increased to a minimum of 354 litres with the rear seats upright, or up to 1,367 litres with them folded. Occupants will also find the cabin is quieter than in the previous Soul thanks to liberal use of expansion foam, replacing the previous block foam, in the body cavities. A reinforced isolation pad in the cargo area and polyurethane-layered carpet also contribute to a reduction in interior noise of almost three decibels. 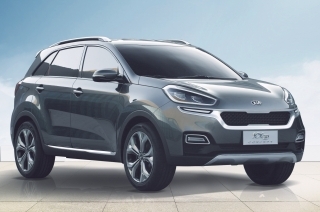 In the UK Kia is offering five trim options with the new Soul, all featuring significant upgrades in equipment and technology compared with the previous model. The five grades are Soul Start, Soul Connect, Soul Connect Plus, Soul Mixx and Soul Maxx. New standard features on every Soul are a DAB radio, Flex Steer variable power-assisted steering and a tyre pressure monitoring system (TPMS). Also fitted to every model are painted bumpers, door handles and side mirror casings, remote central locking, air conditioning, electrically adjustable door mirrors, electric windows all round, steering wheel-mounted controls, USB and AUX ports and six airbags. Soul Connect adds artificial leather cluster housings, door centre trim and armrests and a rear power socket, all of which were unobtainable before. It has 17-inch alloy wheels in place of the 16-inch steel wheels of Soul Start, front fog lamps, door mirror heaters, Bluetooth, a reversing camera, a leather steering wheel and gearshift knob, a high-gloss black finish on the centre fascia panel, steering wheel bezel, door armrest and upper console and a storage box between the front seats. The Soul Connect Plus additionally has a premium Infinity sound system, satellite navigation and climate control within the integrated DAB radio and a reversing camera display and front speaker mood lights. Soul Mixx has 18-inch alloy wheels, a contrasting colour roof and door mirror casings, high-gloss black bumpers, chrome exterior door handles, LED rear combination lamps, privacy and solar glass, a cooled glovebox, heated front seats and a luggage floor undertray. 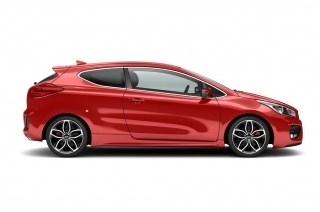 It is also fitted with the urban styling pack consisting of front, side and rear skirts and a wheel-arch garnish which increases the width by 31mm. Topping the range is the Soul Maxx, which features 18-inch alloy wheels, leather upholstery, a TFT supervision cluster, a panoramic sunroof and a smart-entry key and engine start/stop button. 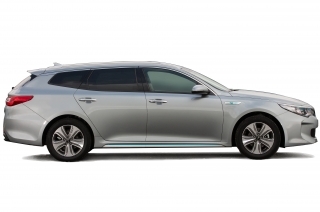 The no-detail-too-small approach which Kia has taken with the styling, packaging, trim and equipment has been extended to the powertrains, chassis and refinement. 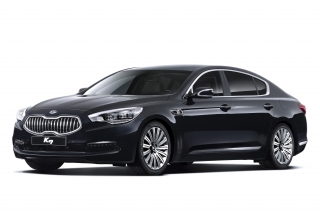 Though outwardly it provides a continuation of the mechanical package of the previous car, every facet has come under scrutiny to improve the ease and enjoyment of driving, comfort and quietness. The new Soul is offered with a choice of two 1.6-litre direct-injection engines – the Gamma GDi petrol unit and the U2 CRDi turbodiesel – providing the optimum combination of flexible performance and outstanding refinement. Six-speed manual gearboxes are standard across the range, but the diesel is also offered with the alternative of a compact and light six-speed automatic. The suspension is again based on the tried-and-tested combination of MacPherson struts at the front and a coupled torsion beam axle at the rear, while the Motor Driven Power Steering (MDPS) is boosted by the addition of Flex Steer, which allows the driver to vary the level of power assistance according to preference and where the car is being driven. 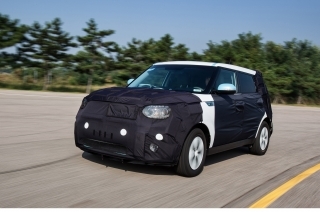 Kia engineers have also undertaken a comprehensive review of the car’s noise, vibration and harshness (NVH) counter-measures with the result that cabin noise levels in the new Soul are three decibels lower than those in the previous model. The engines available in the new Soul are those that became available midway through the life of the previous model, but with modifications to enhance their operation, particularly in relation to low-speed torque and noise, vibration and harshness (NVH). 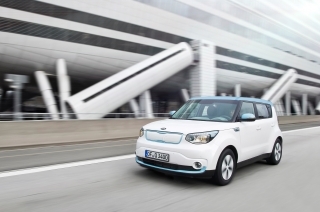 The engines have been specifically chosen and tailored for European versions of the new Soul. Both engines are direct-injection units which spray a fine mist of fuel straight into the cylinders through a high-pressure injection system in minutely precise quantities with millisecond timing, rather than being pre-mixed with air. This ensures the engine uses only as much fuel as it needs for the load being put on it at any given moment. The result is efficient combustion with excellent performance. Direct injection, with turbocharging in the case of the U2 diesel engine, also helps to boost low-speed response and, therefore, driveability. 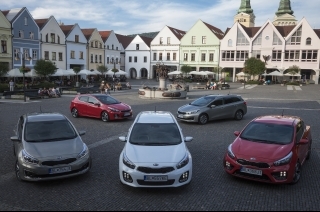 The 1.6-litre (1,582cc) CRDi engine was designed and engineered at Kia’s European Technical Centre at Russelsheim, just outside Frankfurt, and is made at the company’s manufacturing facility at Žilina, in Slovakia. It is a twin overhead camshaft unit with a cast iron block and an aluminium cylinder head and oil pan. There are four valves per cylinder with hydraulic lash-type adjustment, while the common-rail high-pressure fuel injection system includes swirl control valves which help to lower emissions under low loads and enhance power in high-load conditions by controlling the swirl ratio and fuel flow co-efficient. 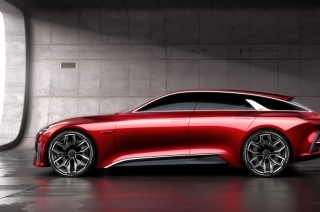 There is a variable-vane turbocharger (VGT), which adjusts the flow of exhaust gases to ensure ideal performance throughout the rev range, while exhaust gas recirculation helps to minimise fuel consumption and CO2 emissions. A revised timing chain drive system improves durability while requiring less maintenance, aided by a hydraulic auto-tensioner. A plastic intake manfold and oil filter housing reduce weight, while all moving parts have been made as light as possible with the minimum of friction to bolster efficiency. An eco-type cartridge oil filter requires only the O-ring and filter element to be replaced during servicing to reduce harm to the environment. A strong bed plate and a chain guide sprocket that reduces operating noise enhance NVH. The 1.6-litre CRDi engine develops 134bhp at 4,000rpm and 260Nm of torque, which remains constant from 1,500rpm until 3,000rpm, ensuring open-road performance similar to that of the petrol Soul and excellent flexibility. Acceleration from 0-60mph is achieved in 10.8 seconds with the six-speed manual gearbox, only fractionally more than with the petrol model, while the top speed is 112mph. 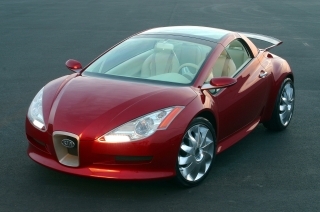 The figures with the six-speed automatic gearbox are 10.7 seconds and 113mph. Manual versions have combined fuel consumption of 58.8mpg with CO2 emissions of 128g/km, while the figures for the automatic are 54.3mpg and 135g/km. 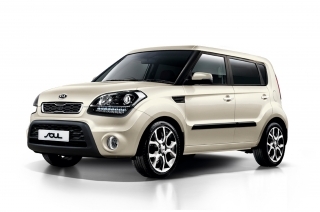 The new Soul is also available with Kia’s 1.6-litre GDi (Gasoline Direct Injection) Gamma petrol engine. 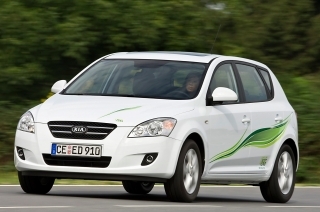 GDi makes it possible to raise power and torque levels while reducing fuel consumption and CO2 emissions. 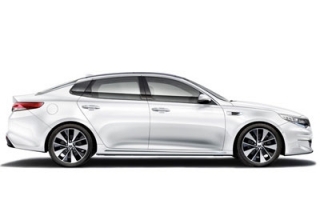 This 1,591cc unit, with an aluminium block and cylinder head and a steel oil pan, was Kia’s first GDi engine. For the new Soul it develops 130bhp at 6,300rpm and 161Nm of torque at 4,850rpm. 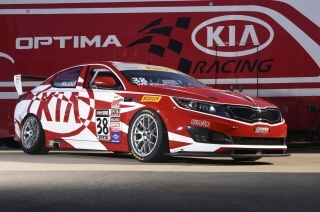 It is a 16-valve twin-cam unit with variable valve timing on both the inlet and exhaust valves it also features a roller-type chain system and a heat-treated block and injectors. 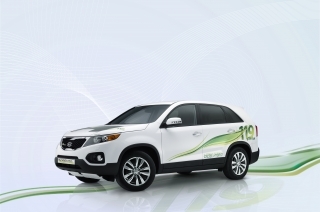 With a compression ratio of 11:1, electronic throttle control and piston heads shaped to ensure the fuel converges around the spark plug, it delivers an excellent combination of performance, fuel economy and emissions control. Fuel is delivered at a pressure of up to 150 bar through six-hole injectors in a fuel rail fixed directly to the cylinder head at four points. A high-pressure sensor controls the fuel-flow rate and feedback through pressure changes in the fuel rail. An offset crankshaft optimises fuel economy by reducing friction losses and improving the speed reduction of the pistons around the expansion stroke. 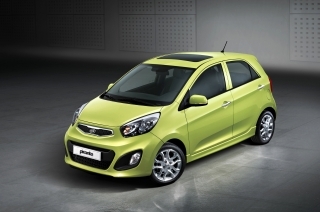 The petrol-engine Soul accelerates from 0-60mph in 10.6 seconds and has a top speed of 115mph. 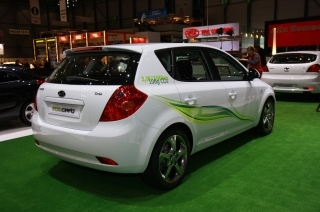 Average fuel consumption is 41.5mpg with CO2 emissions of 158g/m. 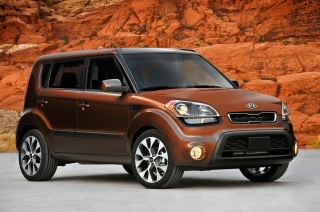 A six-speed transmission is standard with every version of the new Soul. 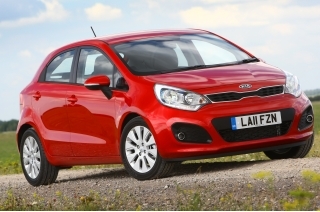 That includes the diesel versions fitted with the optional automatic gearbox. All gearboxes offer a wide spread of ratios with a long final drive ratio to help bring down fuel consumption and CO2 emissions. 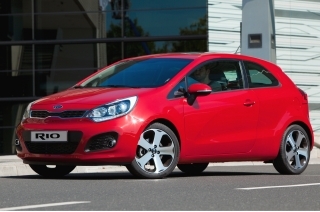 The manual gearboxes have torque capacities of 175Nm for the GDi and 265Nm for the CRDi. Both are compact and lightweight transmissions and feature modular shift-control systems, which improve operation by reducing the number of parts and therefore the tolerances during assembly. A newly designed skirt-type reverse gear selection collar improves operation. 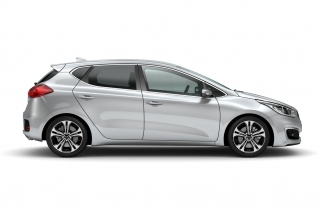 Kia’s automatic transmission, developed in-house is helped by a unique flat torque converter which alone saves 12mm in packaging while trimming weight by 1.2kg. It also features a sealed differential gear (30 per cent more durable than a conventional open differential), an oil pressure regulating valve (improved shifts by minimising pressure variations), a laminated planetary gear carrier (reduced noise with greater durability) and a plastic valve body cover (less weight). The number of moving parts has also been kept to a minimum. All of this helps to ensure weight is reduced. It features three planetary gearsets and four pinion differentials. A cleverly designed hydraulic pressure control unit allows the solenoid valves to be individually calibrated, ensuring ultra-fast, smooth and precise gear changes. Gear selection is via a straight-type lever. All the driver has to do is push a button at the side of the selector and it glides into the required spot. 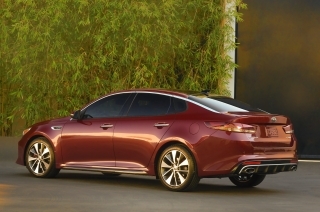 Kia engineers have focused on driveability and smoothness. 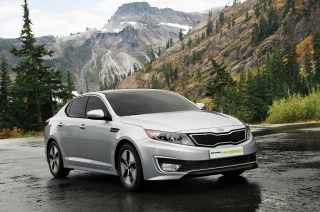 Kickdown acceleration is particularly smooth and effortless, while the transmission also eliminates any tendency to ‘hunt’ between ratios when driving in hilly areas. From the outset the Soul has been praised for its alert, fun-to-drive handling characteristics, but with deteriorating roads in many established markets, and poor-quality surfaces in many important developing regions of the world, Kia took the decision to focus on improving ride quality with the new model. However, this was not to be at the expense of the car’s dynamic behaviour, which was always one of the aspects owners most enjoyed. The starting point was the adoption of a new four-point bushing mounting for the H-type front subframe, which is coupled with a MacPherson strut suspension system. This significantly reduces vibrations, improving NVH as well as ride quality. Secondly, a three-point insulator has been applied to the front struts. Although insulators were used in the previous model, vibrations could be transmitted directly through the dampers. The new arrangement is more effective at absorbing major as well as minor vibrations. Here, too, there are benefits in noise reduction as well as comfort. Finally, the rear wheels, which are mounted to a coupled torsion beam axle, are now more perpendicular to the body as a result of a change of the damper lever ratio. The lever ratio is an important factor in determining ride comfort: the general rule is that the closer the ratio is to 1, the more absorbent the ride. Tubular beams and a larger low arm bushing also make significant improvements to comfort. All of this has been aided by the 29 per cent greater rigidity of the new Soul, something which has been achieved without adversely affecting weight through a 20 per cent increase in the amount of ultra-high-strength steel in the car’s composition. 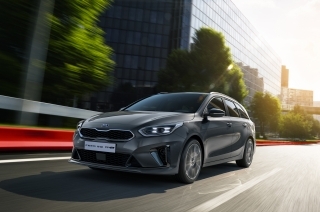 The Soul continues to use Kia’s Motor Driven Power Steering system, now with the adoption of Flex Steer, the variable-assistance function which allows drivers to adjust the degree of assistance provided according to preference and where the car is being driven. For parking or manoeuvring in narrow town streets the Comfort setting offers increased assistance, for example, while for highway driving at speed the Sport mode reduces the amount of help to maximise feedback and stability. There is also a Normal setting. Changes are made via a button on the steering wheel, and the driver’s last chosen setting is always maintained until manually altered, even after switching off the engine. The new Soul has ventilated front brake discs of 280mm or 300mm in diameter, depending on wheel and tyre size, and solid 262mm rear discs. Anti-lock Braking (ABS), Electronic Brake Force Distribution (EBD) and Brake Assist (BAS) are standard helping drivers to safely brake and steer at the same time in an emergency, and to ensure stopping effort is apportioned in the most effective way and that the car stops in the shortest possible distance, regardless of the force applied to the pedal. 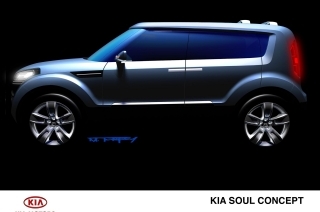 Substantial effort has gone into ensuring that the new Soul is the most refined yet. In addition to the suspension changes which have minimised the transmission of road noise into the cabin, detailed work on the engines, aerodynamics and sound-deadening materials has reduced the amount of noise in the cabin by a considerable three decibels while curtailing vibration. 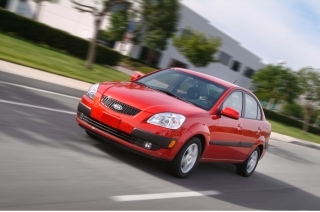 One of the unwanted side-effects of GDi engines is often an increase in noise and vibration. 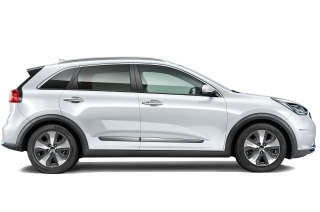 Kia engineers have addressed this with a new four-point engine mounting system (previously three), a redesigned exhaust system to reduce booming when driving and at idle, extended intake ducts which reduce noise and an increase in the size of the tunnel pad, which has the dual effect of improving air flow to the cabin while curtailing unpleasant sounds. An increase in the number and rigidity of integrated support brackets reduces noise from the optional automatic transmission’s planetary gears with the CRDi diesel engine, and there is improved sealant and damping materials to block high-frequency noise. In diesel models, there is more noise insulation material on the dashboard, and a body bracket in place of a seal side hole. The result is a reduction in powertrain-transmitted noise and vibration. All versions have expansion foam in the A- and B-pillars, a redesigned A-pillar garnish and improved hood and cowl structures to curb wind noise, while the front edge of the roof, the new rear combination lamps, underbody wheel deflectors, engine and centre floor under-covers and a front bumper lip reduce noise within the cabin whilst lowering the drag co-efficient (Cd) from 0.35 with the previous model to 0.34, which in turn also benefits fuel consumption and emissions. Improved (polyurethane-layered) carpets and an insulation pad in the cargo area also help to muffle more sound and make the cabin a quieter place. 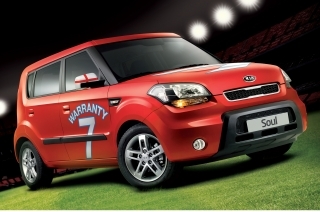 The new Kia Soul comes as standard with a comprehensive set of active and passive safety features, including cutting-edge driver assistance systems, housed in a tough new body shell that is 29 per cent stiffer than that of the former model. 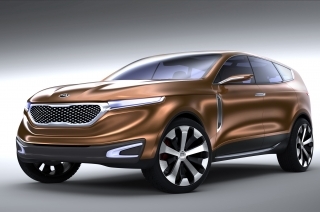 Kia engineers introduced an innovative Engineering Sample Inspection Report (ESIR) during the development of the car to rigorously check the performance and durability of prototype parts with the aim of improving the quality of mass-production casting dies. The body of a car is the suit of armour that protects driver and passengers in the event of an accident. The stronger it is, the greater the protection it affords. 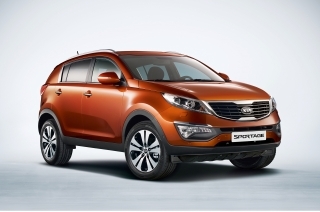 But strength usually comes at the expense of weight, which impairs performance, agility and fuel consumption. And strength on its own is not the answer: unless the body can absorb impact forces, occupants can be injured by the shock waves caused by a collision. 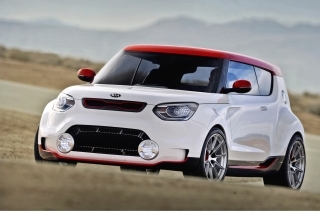 Kia engineers have reconciled all these conflicts of interest with the body of the new Soul. Weight has been kept in check thanks to extensive use of ultra-high-strength and high-strength steels in critical areas. 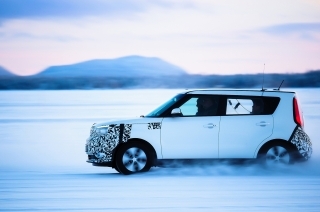 There is more than twice as much ultra-high-strength steel in the new car than in its predecessor (35.2 per cent instead of 15 per cent), making the body of the new Soul one of the safest in its class. The B-pillars, which are critical in helping protect occupants in side impacts, include sections which are made of steel 2.5 times stronger than that which qualifies as ultra-high-strength. 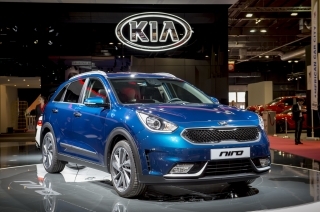 Ultra-high-strength steel has also allowed Kia to make the A-pillars 20mm narrower and 3.3kg lighter than in the previous model, improving driver visibility without reducing the protection they offer. 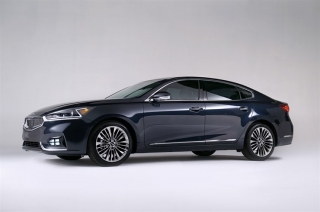 The new car’s structural design also shows considerable advances over that of the last model. 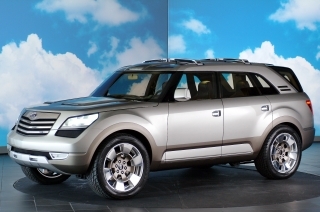 To overcome the inherent rigidity problems posed by the taller, boxier body of an SUV crossover, ring-shaped horizontal and vertical structures are incorporated, with reinforcements where they are inter-connected. These significantly increase both torsional and transverse bending rigidity, to the benefit of handling as well as collision safety. The key areas for improved torsional rigidity were the connection between the cowl and the damper housings, the area where the B-pillar meets the centre roof rail, the joints between the B-pillars and seat cross-members, the side reinforcements on the C- and D-pillars, the lower C-pillars and the joints between the back panel and sides. Structural adhesive has been applied to the side sills in the areas of the door openings. All versions of the new Soul are fitted with driver and passenger airbags and front side and curtain airbags – which run the length of the cabin. The passenger airbag can be deactivated. A seat-belt reminder alert is fitted to all five seats. Both front seats have belt pre-tensioners. The easiest accident to survive is the one that never happens. With that in mind, the new Soul is delivered with a comprehensive array of electronic assistance features to help drivers brake or steer away from trouble in an emergency. Anti-lock brakes (ABS) allow the driver to steer even when braking hard without risk of destabilising the car, and are supported by Electronic Brake Force Distribution (EBD), which apportions the stopping effort to the wheels which can make most use of it, and Brake Assist (BAS), which measures the speed with which the driver hits the brake pedal to ensure maximum retardation, regardless of the force applied to the pedal. Emergency Stop Signaling flashes the high-level brake light to warn following drivers of what is happening. 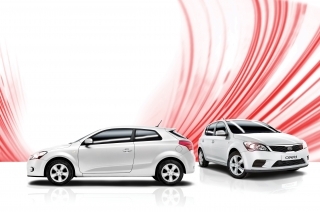 Electronic Stability Control is also standard on the new Soul. This uses the ABS system to selectively brake wheels, sometimes accompanied by a reduction in engine torque, if slippery road conditions or over-exuberant driving threaten to send the car out of control. 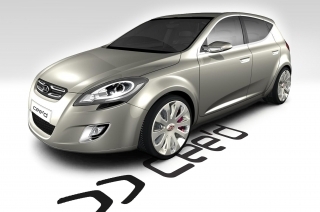 ESC is accompanied in the Soul by Vehicle Stability Management, which recognises when the car is being driven on a surface where the grip on one side is less than that on the other. 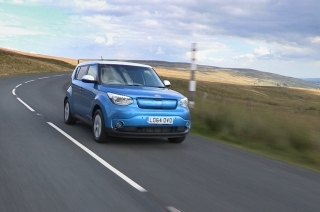 The new Soul also includes Hill-start Assist Control (HAC) to prevent the car from rolling backwards when setting off on steep uphill gradients. Brake pressure is maintained until the driver touches the accelerator. 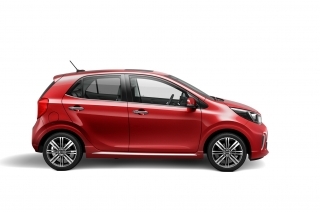 With its highly efficient direct-injection engines, the new Soul keeps fuel bills and taxation costs low for both private and fleet owners, while the tough new body has been designed with ease of repair in mind to minimise insurance costs. Servicing is required every 10,000 miles (petrol) or 20,000 miles (diesel) or twelve months whichever occurs soonest. 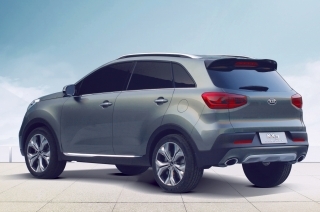 Retail customers are able to benefit from Kia’s Care-3 and Care-3 Plus packages that help owners to inflation-proof routine maintenance costs which are available from £339. 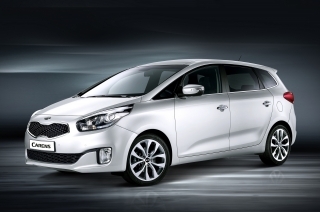 Care-3 and Care-3 Plus – Kia’s service packages for retail customers – are available and offer fixed-cost and inflation-proof servicing for the first three or five years. 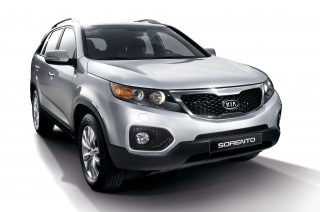 All work is carried out by trained technicians using genuine Kia replacement parts and specified oils. Both packages cover the car, not the owner, so are transferable should the vehicle be sold. 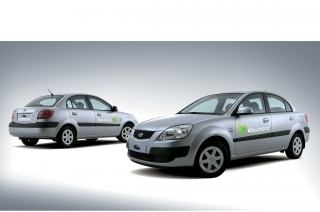 If a vehicle with a Care-3 package is sold on then the next owner may upgrade to the five-year service package. 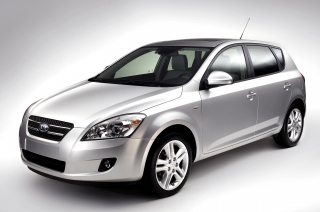 The cost of the first MoT test fee can also be included. 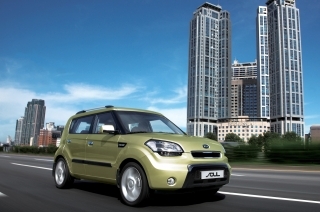 The second-generation Soul is built at Kia’s Gwangju plant in Korea, which was also home to the first model. Gwangu was fully refurbished to accommodate the Soul in 2008 and is capable of manufacturing 135,000 versions of the car a year. The Soul is also built in China at the rate of around 40,000 a year for the Chinese domestic market. 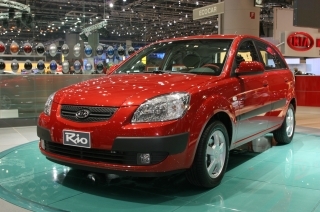 The 1.6-litre CRDi diesel engine is manufactured at Žilina in Slovakia and shipped to Korea for installation in the Soul. 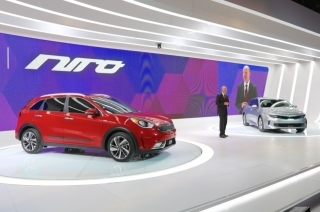 The Gwangju plant has been in operation since 1998, when Kia was acquired by parent company Hyundai. 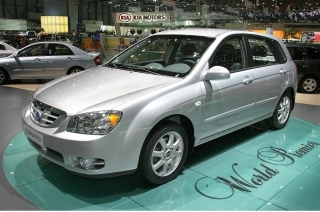 The 2008 upgrade was to ensure even higher production quality and greater flexibility to accommodate the multiple Soul derivatives that have already been seen in the car’s lifespan. 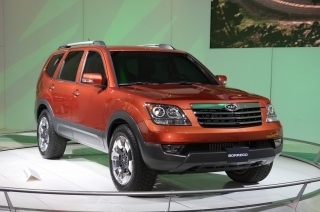 Gwangju also produces K-series trucks, buses and military vehicles – most of which have never seen European soil in any shape or form – as well as the Sportage for markets outside Europe: European Sportages are built at Kia's world-class Žilina factory in Slovakia, alongside the Venga and the cee'd family. 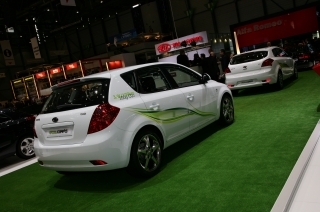 Gwangju employs 7,000 workers and has an annual capacity of 420,000 vehicles. Knock-down (CKD) vehicles are also made there for assembly outside Korea. It is a highly efficient plant that has facilities to match any in the world. 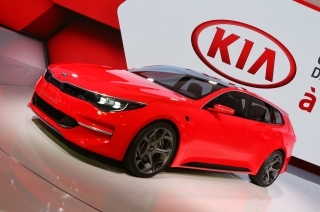 It is also a strategic export base for Kia, and as with all Kia factories, great efforts have been made in recent years to reduce its environmental impact. The plant has adopted zero-landfill scrap disposal, increased robotisation in its painting facilities and gone over to totally soluble paints, introduced a separate waste collection system to minimise wastage and even added solar heating for its hot water, all with the aim of reducing energy consumption and its CO2 output. 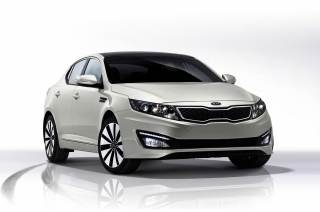 Kia has made reducing the amount of raw materials being fed into the production process a major priority in every production facility around the globe. The last few years have seen significant progress in reducing waste, increasing recycling and developing cleaner production processes. Exhaust pollutants from Gwangju have also decreased dramatically and new technology is playing a significant part in environmental improvement. Typical cast melting furnaces produce large amounts of dust and contained within this is a high proportion of zinc. The captured dust is treated and the zinc extracted before being re-used within the production process. In another area of Gwangju, a direct-fired steam air-conditioning system has been introduced. Unlike conventional systems that need fuel to supply heat after converting to steam, these systems transfer heat directly from the fuel/heat reservoirs within the plant to indoor rooms. This system has proven to be remarkably efficient and annually saves around 107 tonnes of CO2 . The green landscape around each facility is an important part of each plant make-up. One ongoing programme is based on a number of ecology gardens which are filled with trees and plants resistant and sensitive to environmental changes in air pollution. The Gwangju plant is no different, with more than 88,300m2 of green areas and 98,100 trees. Almost 15 per cent of the factory plot is given over to green areas. This has the added benefits of providing a more comfortable environment for the staff and local population and offsetting some of the CO2 output from the facility. The overall effect of the many green initiatives – reducing the use of raw materials, recycling and reducing waste – has resulted in Gwangju being officially recognised as an eco-friendly worksite by the Korean Ministry of the Environment. What are the prices of the new Soul? The range starts at £12,805 for the Start model and progresses to £23,250 for the diesel Maxx version. What design elements of the first Soul were you determined to keep and where are the greatest changes? 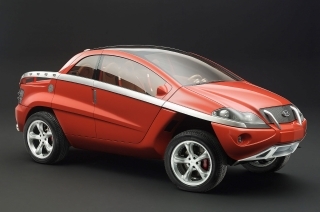 Early on the designers decided they had to keep the car’s unique profile and the wrap-around windscreen glass which makes the Soul look as if it is wearing sunglasses. 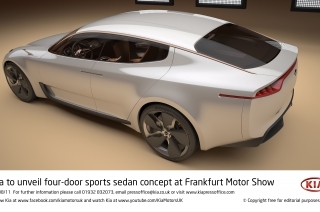 But they also wanted a more robust design in keeping with customer feedback, so the wheel arches and bumpers are sturdier-looking, and the canopy-style reclining roof and C-pillars combine to give an added sense of strength. Which part of the design are you most proud of? The completeness of the design is the main thing, but if we had to pick one element it would be the backpack-shaped tailgate and the seamlessly integrated combination lamps. It was challenging to achieve, but well worth the effort. Q Why are there no versions with your ISG stop-start system? 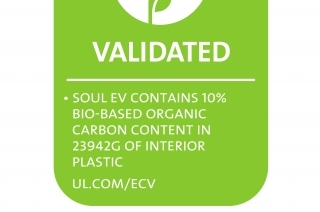 Q Why have you chosen the Soul to be your first global EV? 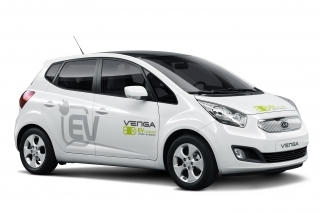 EVs are cars for an urban environment, where journeys are shorter and there is at least some recharging infrastructure, and the Soul is very much an urban type of car. 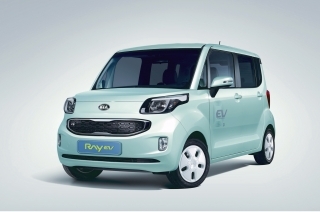 It is also an ideal size for packaging the electrical components without compromising passenger and luggage space, and a comparatively light car. 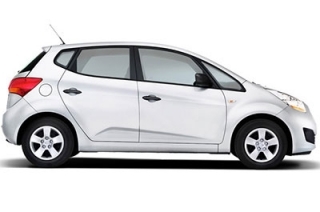 With our innovative energy-saving solutions, that meant we could create a spacious and practical EV with an excellent range. 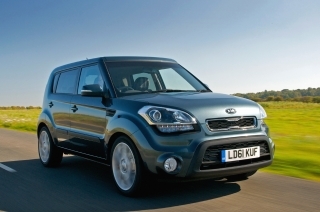 Q What has typically been the model mix with sales of the Soul in the UK? The diesel/petrol model share-out has been 70 per cent in favour of diesel, and just over half of sales – 55 per cent – have been to fleet, which we class as anyone who is not a purely retail customer. With the new model we expect 35 per cent of sales to be of the Connect Plus, 30 per cent to be taken by the Connect and 20 per cent of buyers to choose the Mixx. 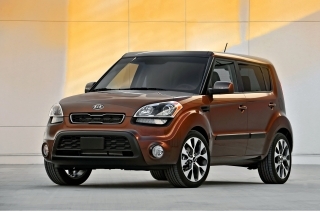 Kia’s innovative and hugely successful urban crossover, the Soul, has been refreshed from top to bottom for the 2012 model year. New or revised 1.6-litre engines and the introduction of a six-speed gearbox on all models improve performance while lowering fuel consumption, emissions and running costs. 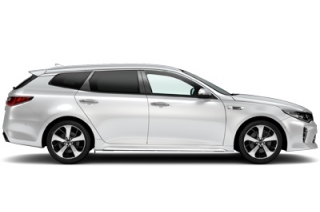 The distinctive and highly original exterior styling is now even sharper while continuing to emphasise Kia’s obsession with quality. This is reflected in the cabin, where changes to the fascia, console and trim raise standards even higher. And all versions have more equipment. The revised model is now on sale offering a choice of two regular trim grades, badged Soul ‘1’ and Soul ‘2’, and three ‘Soul Originals’, the Hunter, Quantum and Inferno. ‘Soul Originals’ is a rolling programme of special versions with unique styling and trim, changed at regular intervals. 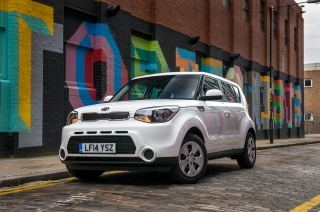 Soul is an urban crossover – small enough to be ideally suited to the world's urban jungles, but totally different to conventional, workday small cars. 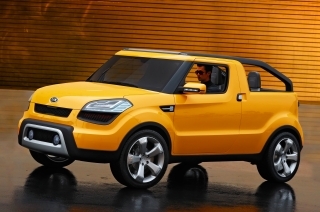 By combining the charm and desirability of the MINI and Fiat 500 with a hint of SUV ruggedness, Soul opened up an entirely new market sub-segment when it first appeared in 2008. 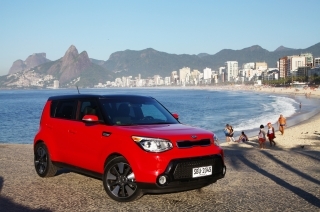 Like conventional superminis, Soul is a five-door, five-seat front-wheel-drive hatchback. 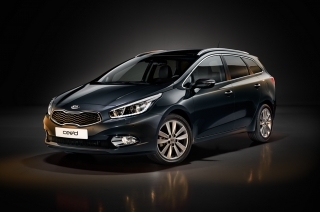 But within those parameters, it defies convention thanks to its fun-to-drive character, expressive interior and a seating arrangement which offers the flexibility of a medium-sized MPV or SUV within the footprint of a supermini. Soul's style is 'tough not rough'. 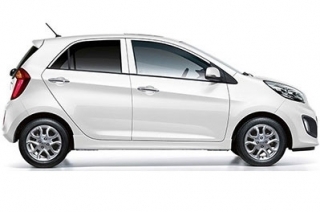 It has a high bonnet with rounded forms, bulging wheel arches and a wide track. 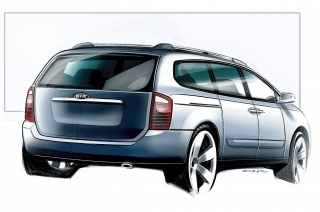 The wheel arches are joined by a body side crease, while the roofline appears to slope gently down to the tailgate. The beltline, which rises from the front wheel arch to create a gentle wedge shape, is continued under and around the third side window. There are decorative air vents in the front wings, these incorporate sleek side repeaters on the entry-level version. 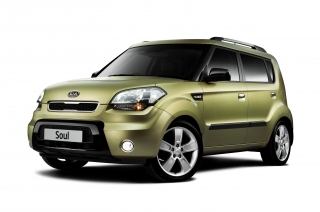 For 2012, Soul’s rugged charm has been given an even sportier twist with changes to the grilles, lights, front bodywork and wheels. 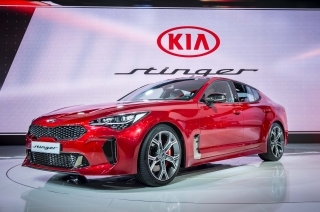 A new bumper with a wider, lower air intake changes the proportions of the car and gives it a wider stance, and the grilles are now set off with cubic effect inserts which give it a more premium look. The new front grille is reflected at the rear, where a large tusk-shaped section in the bumper helps to visually stretch the width of the car. 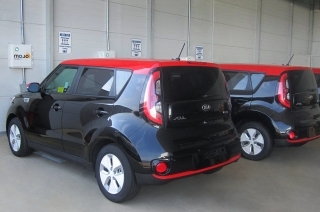 The vertical rear light clusters have been revised and incorporate brake lights that wrap around the side of the car, while daytime running lights – bulb-type in Soul ‘1’ and ‘2’ and LED in the three ‘Soul Originals’ – add a touch of style to the black bezel headlamp units and make the car easier to see. 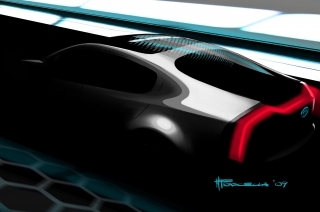 The rear light pattern on models with LED rear lamps is identical to that on the 2006 Detroit Show Soul concept to which the production model so faithfully adheres. 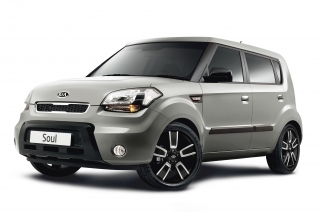 Soul ‘1’ now has body-coloured door handles and mirrors and a top-tinted windscreen, while Soul ‘2’ gains muscular surrounds around its front foglights, 16-inch alloy wheels and folding electric door mirrors containing stylish indicator repeaters. All versions are 15mm longer than before to accommodate the new powertrains under the bonnet, yet remain extremely compact at 4.12 metres long. The practical and spacious interior features a totally redesigned centre fascia, centre console and gearshifter which improve both usability and the feeling of quality. The upholstery in Soul ‘1’ continues to be stylish all-black cloth, while Soul ‘2’ has a new design of luminous ‘Soul Shine’ cloth. Soul Hunter is trimmed in either black or beige, depending on the exterior colour specified, with matching tartan colour trim that adds a charming and fun flavour to the interior. Soul Quantum and Inferno are both trimmed in luxurious black leather. 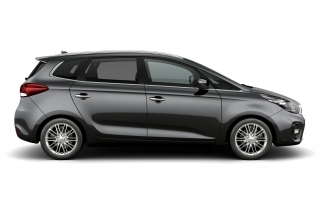 Soul was the first Kia to use an all-new platform that has since been adopted in modified form for Kia’s other B-segment models, the Venga and new Rio. 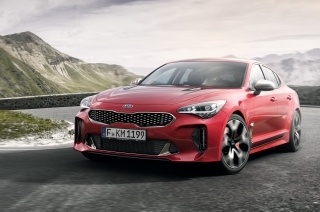 It is powered by two 1.6-litre engines – a new direct-injection (GDi) petrol unit developing 138bhp – up 14bhp on the previous 1.6-litre – and a modified 126bhp turbodiesel (CRDi). A six-speed manual gearbox replaces the five-speed unit previously used, while the CRDi engine is optionally available with a six-speed automatic in place of the former four-speed transmission. 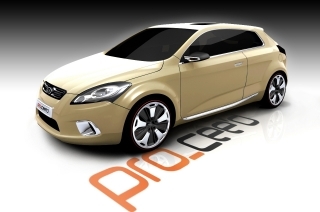 The new powertrains bring significant gains in performance, economy and running costs. The diesel manual is now 0.6 seconds quicker from rest to 60mph (10.3 seconds), while more than 3mpg more fuel-efficient (57.6mpg). 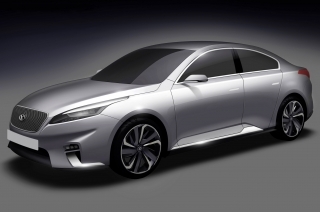 This is sufficient to bring its CO2 emissions down by 8g/km to 129g/km, which means owners are exempt from Vehicle Excise Duty (VED) in the car’s first year. The new petrol engine and six-speed gearbox combination, meanwhile, ensures the Soul delivers sparkling performance with impressively sparing use of fuel. 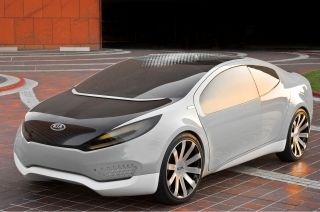 It can accelerate from standstill to 62mph in 10 seconds, while its official combined-cycle economy is 44.1mpg. With CO2 emissions of 149g/km, it sits in band F for VED, which saves owners £35 a year compared with the previous model. 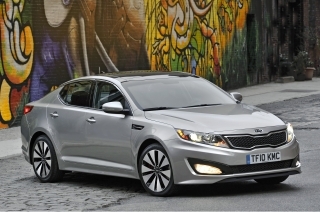 Both engines deliver the outstanding torque vital to modern UK motoring, with excellent power for motorway use. 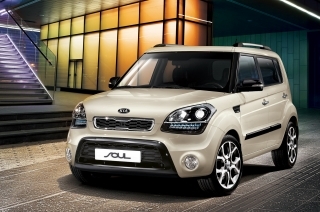 Soul has a long wheelbase and wide track, with inherent benefits for stable handling and a comfortable ride. The suspension of right-hand-drive models was fine-tuned in the UK ahead of the car’s initial launch. 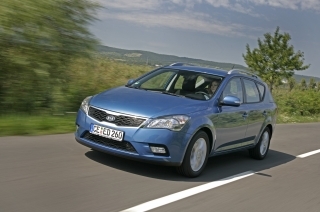 Soul was the first of several Kias to have followed this path, recognising the particular characteristics of UK roads. 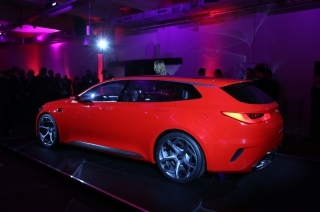 It has Kia’s motor-driven electronic power-assisted steering, which contributes three per cent to fuel savings compared with a conventional engine-driven hydraulic rack-and-pinion system. Power assistance is provided only when needed, reducing power draw on the engine. 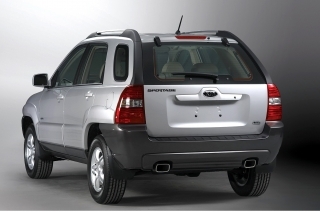 For 2012 these safety measures have been supplemented by Vehicle Stability Management (VSM) and Hill-start Assist Control (HAC). 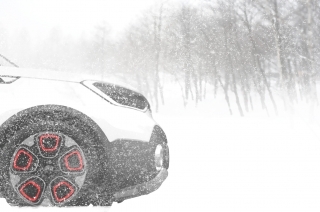 VSM uses the ESC sensors to detect when one side of the car is traversing a more slippery surface than the other, such as when there is ice, standing water or wet leaves at the edge of the road. It then intervenes to stabilise the car. HAC holds the car on its brakes when setting off on inclines until the driver touches the accelerator pedal. In this way it is impossible for the car to roll backwards. The first thing Soul drivers will notice, particularly those downsizing from an SUV or MPV, is the familiar command-post driving position. The cockpit is compact and sporty, with a thick-rimmed four-spoke steering wheel and a three-dial instrument cluster beneath a tightly-curved cowling. 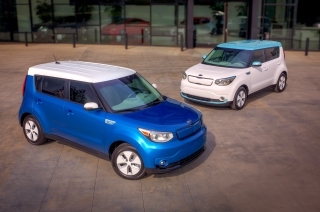 Yet Soul is anything but a self-indulgent car. The unusually high roofline, which has its highest point just above the windscreen, and generous wheelbase, may lend Soul a bit of SUV attitude, but they also give the interior cavernous space. 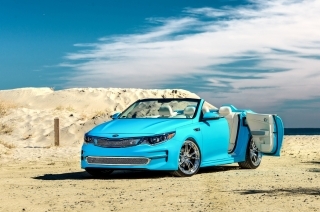 In keeping with Soul's rebellious, individual and urban character, Kia has ensured that every model has a six-speaker audio system capable of being linked to digital music players or other portable music devices. From Soul ‘2’ upwards, an iPod cable is standard, and all models now have steering wheel-mounted audio controls. Further up the range, the hi-fi grows to eight speakers, including a boot-mounted subwoofer and a dashboard centre speaker, and is powered by an external amplifier. 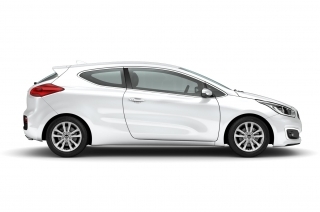 The standard specification is generous, with air conditioning, all-round electric windows, remote central locking and six airbags fitted to every model. 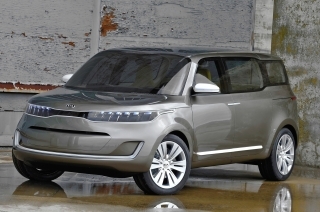 The 2012 Soul ‘1’ gains Bluetooth with voice control, and sun visors with illuminated mirrors in addition to remote audio controls, electric mirrors, body-coloured door handles and a top-tinted windscreen. 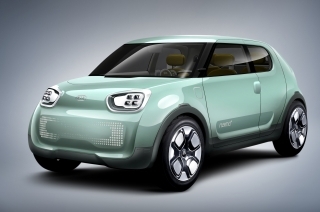 Soul ‘2’ has new 16-inch alloys, unique upholstery and folding mirrors. 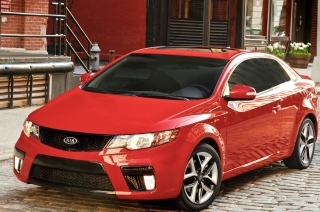 To top it off, all versions have Kia’s pioneering seven-year, 100,000 miles warranty. In the spirit of a fashion collection, the Originals are frequently updated with new colour schemes and specifications and have proved popular since the first trio appeared in 2009. Hunter and Quantum were introduced in October 2011 and the Inferno arrived in April 2012 – each brings a unique style and high level of specification. 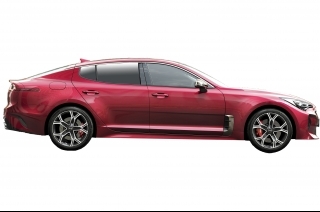 In addition to the well-specified ‘2’ trim level, both Hunter and Quantum gain metallic paint whilst the other ‘Original’ – the Inferno – comes in a bright Tornado Red. All three have distinctive LED daytime running lights, an uprated eight-speaker stereo system with external amplifier and boot-mounted subwoofer, heated and folding door mirrors with integrated LED repeaters and privacy glass to the rear windows and tailgate. Cruise control is standard on automatic versions of Hunter, CRDi versions of Quantum and all Infernos. 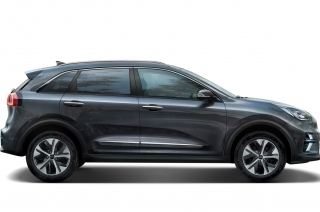 The Hunter adds to this with 18-inch alloy wheels, an electrically operated sunroof and a colour reversing camera which conveniently displays inside the rear view mirror when reverse gear is engaged. Hunter is available in Olive Green metallic, with a beige and tartan interior, or Moonlight Blue metallic with black and black tartan upholstery. The Quantum is only available in Titanium Silver metallic and comes with 18-inch black five-spoke alloy wheels, piano black bumper inserts and chrome exterior door handles. 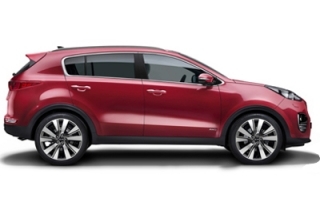 On the inside is a black leather upholstery, heated front seats, climate control and reverse parking sensors. Last, but no means least, the Inferno is uniquely available in striking Tornado Red and comes with 18-inch ‘Black-Petal’ alloy wheels, piano black bumper inserts and chrome exterior door handles. 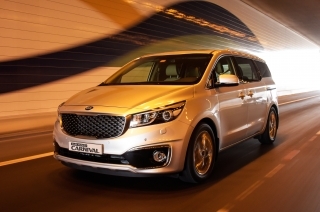 The interior shares the black leather upholstery, heated front seats, climate control and reverse parking sensors of the Quantum and adds a number of items to the specification list. A smart key entry system with stop/start button, an uprated instrument cluster, front speaker mood lighting to complement the uprated hi-fi, alloy pedals and dragon design floor mats complete the interior. The dragon theme continues on the outside with a dark red dragon design motif on the bonnet and passenger side of the car. 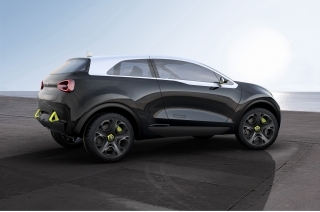 Kia Motors today unveiled the all-new Soul -its most significant-ever model - at the Paris Mondial de l'Automobile pointing clearly at a design-led future for the brand. 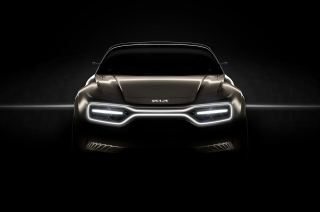 Kia Motors has confirmed its all-new segment-busting car will retain the name and spirit of the concept from which it evolved - Soul.